Do you want your (advertising) message to reach the biggest audience possible? In that case, advertising on wheels is the perfect solution. 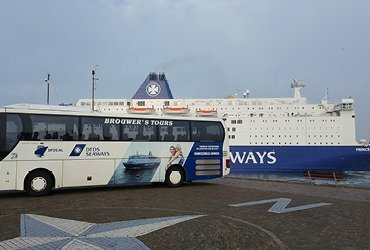 Using a Brouwer Tours coach covered with decals is a guaranteed success. 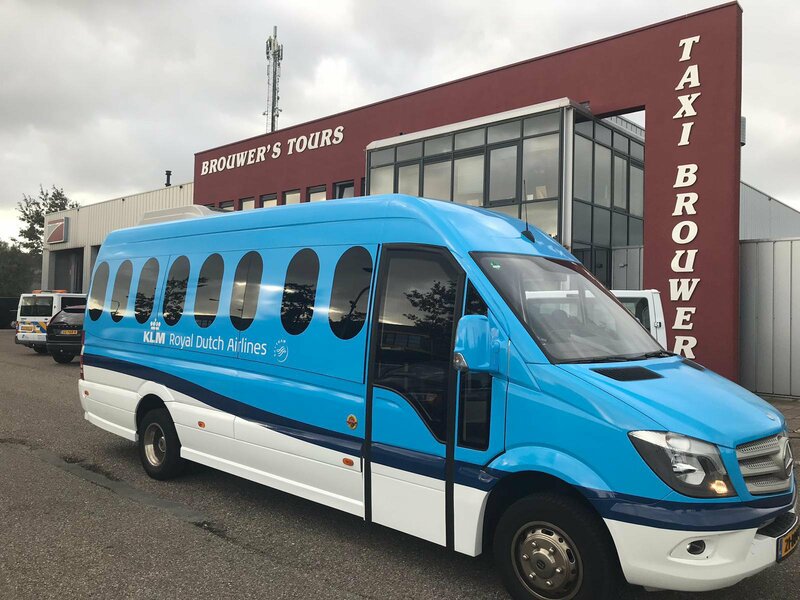 Flower park Keukenhof, theatre show ‘Soldaat van Oranje’, political party VVD, the Railway Museum and talent show Popstars, amongst others, have already experienced the advantages of such a calling card on wheels. 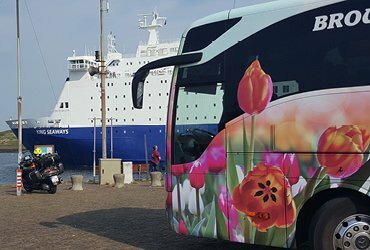 These hard-to-miss buses are special eye-catchers on the road. They attract a lot of attention and the general public primarily sees this distinctive type of advertising as striking and sympathetic instead of distracting. An additional advantage of this form of advertising: viewers can’t ‘zap’ away from the buses. 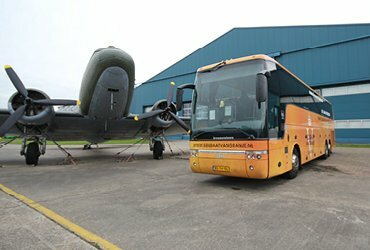 It is possible to completely “wrap” the bus, whether if concerns a minibus or double-decker. This means that the coach is fully wrapped with your message with the help of special techniques. Obviously this is highly skilled work, carried out by professionals. You then specify how and where you want to use the bus. 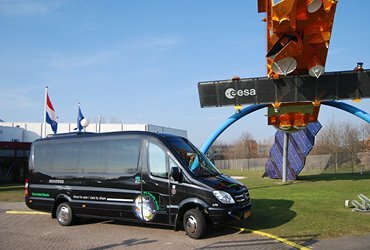 For ‘regular’ coach transport throughout the Netherlands or for transporting your guests or crew, for instance. 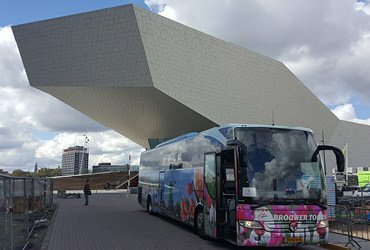 An example is the transport of tourists to and from Keukenhof in the Dune and Bulb Region using a unique, easy-to-recognize bus. Or driving around in the big cities of the Randstad area. The number of potential customers that you will reach is large in any case, whether the decaled bus is driving on the highway or is being used for transportation in the cities. Even if it’s just sitting at a point with heavy traffic, your bus will have people watching. 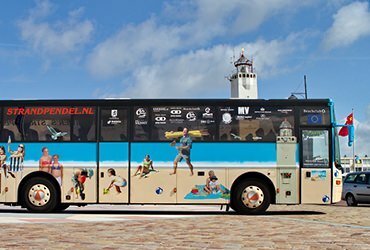 We’re happy to help you get on the road when it comes to bus transport with a special message, themed transport that serves as your visual calling card. You decide how, where and when you want the bus to drive; we’ll discuss the possibilities and rates with you. Please contact us if you want to know more.